The fast response of our New Tecumseth automotive locksmith team ensures that you’ll be back on the street in minutes. We provide emergency 24 hour services and help everyone in the New Tecumseth area with car lock and key problems. Locked out? Can’t open the trunk? Can’t use the transponder key? Locksmith New Tecumseth is 24/7, mobile and expert in most car makes and years. One more thing which ensures our quality work is our technicians’ dedication to the new technology and their updated knowledge and commitment to the new auto developments in Ontario. Current auto security systems are extremely sophisticated and this is the reason why our car locksmith experts use cutting edge technology systems for their repairs. Whether you want to change the locks of your vehicle or can’t fit the key in the ignition, you can be certain that our technicians can assist you. 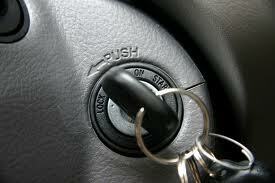 When it comes to a car lockout, rest assured that our team can help you 24/7 and take care of the current problem. From opening a jammed door to repairing the lock and reprogramming the key, our professionals will do what’s necessary in order to fix the issue. As mobile technicians, we are highly responsive and guarantee expert work and quick auto locksmith assistance. We can have an extra automotive key made for you and guarantee that our technician will program and test it. The job is done properly the first time, our response is quick and each of our automotive locksmith New Tecumseth experts is well-trained to deal with any auto lock and key problem.